Joshua Slocum was the first man to circumnavigate the world single-handed. His classic account of his voyage, Sailing Alone Around the World, has been captivating readers for over a hundred years. It remains one of the most thrilling and entertaining travel narratives of all time. Slocum writes of dangers and delights in encounters with Moorish pirates and Juan Fernandez islanders, tempests and languid seas, sharks and flying fish. In 1877, eighteen years before Slocum weighed anchor on his 74,000-kilometre journey, another enterprising New Bedford sailor, Captain Thomas Crapo, undertook to sail across the Atlantic to England in a boat six metres long—with his wife. Crapo’s little-known narrative of his expedition is also included in this volume. A fascinating companion-piece, it may even have helped inspire Slocum to embark on his great sea voyage. In the tradition of Tim Flannery’s editions of 1788 by Watkin Tench and Life and Adventures of William Buckley comes the ripping yarn of the first solo round-the-world sailor, one of the most remarkable and entertaining travel narratives of all time. Flannery’s introduction celebrates the careers and achievements of these sea captains and confirms Sailing Alone Around the World as a must-read for sailors and children of all ages. 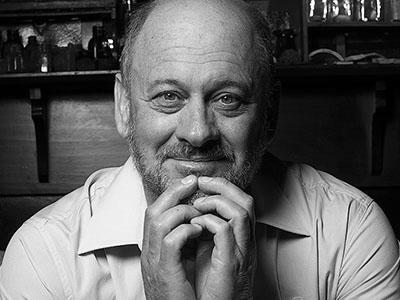 Tim Flannery is a paleontologist, explorer and conservationist. He is a leading writer on climate change and the 2007 Australian of the Year. His books include the award-winning international bestseller The Weather Makers, The Future Eaters, Here on Earth and Atmosphere of Hope. He is currently chief councillor of the Climate Council.